When someone receives an Alzheimer’s disease diagnosis, they will slowly lose their ability to communicate and comprehend how to protect their interests. This decline can be overwhelming for the individual and family members, as they will need to address practical and medical care issues, as well as the emotional effects of watching a loved one lose their mental capacity. However, there are important legal steps to take upon an Alzheimer’s diagnosis that can help prevent you or your loved one from losing their hard-earned assets and property in the process. Do not wait to contact an estate planning attorney who can assist you plan for your loved one’s future. Review estate planning documents – While the Alzheimer’s patient still has the mental capability to understand estate planning matters, we can review all wills, trust documents, and account beneficiaries to ensure they reflect their wishes. As their mental abilities decline, they may no longer be able to update these documents in accordance with their wishes. Draft a power of attorney and health care proxy – There will likely come a time when the patient will not be able to make decisions and handle their affairs. They should always have a power of attorney to designate an agent to handle all legal and financial matters, including paying expenses, dealing with contracts, managing investments, and more. In addition, there should also be a health care proxy so someone else can make medical decisions, including daily care and end-of-life care. An advanced health care directive will set out guidelines for end-of-life care in accordance with the patient’s wishes. If these documents are not in place, it may result in a costly and lengthy guardianship battle in court. Long-term planning – Many people with Alzheimer’s will need home health care or will move into an assisted living facility. It is important to plan ahead for this through long-term care insurance and Medicaid planning. We know how to explore options for asset protection while still ensuring that we meet your loved one’s needs. This can include forming special trusts and designating loved ones as trustees since the Alzheimer’s patient will likely lose the ability to manage the trust. If you receive an Alzheimer’s diagnosis, the last thing you likely want to do is spend time in an attorney’s office. However, addressing your estate planning needs right away gives you the freedom to live knowing that your affairs are in order, protections are in place for your estate, and that your family will not have to go to court unnecessarily. 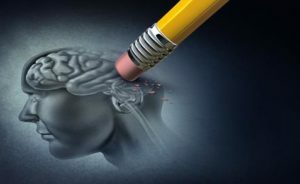 The elder law attorneys at the New York firm of Goldfarb Abrandt Salzman & Kutzin LLP know that Alzheimer’s and similar cognitive diseases can be sensitive and emotional issues. We are here to help you and your family with compassion while taking the legal steps to protect your best interests and those of your beneficiaries. To schedule a consultation, please call (212) 387-8400 or contact us online as soon as possible.